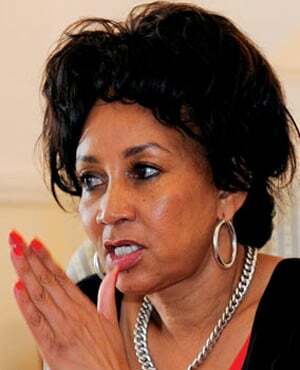 Minister of International Relations and Cooperation Lindiwe Sisulu has said she would seek clarity from the diplomatic missions of the United States of America over President Donald Trump’s post on Twitter which claimed SA was seizing land from white farmers and killing them. She called the tweet “unfortunate”. This is not the first time that Sisulu has proactively moved to keep bilateral partners in check over the response of foreign government officials to South Africa’s new-found commitment to land expropriation without compensation. She issued a demarche on Australian Home Affairs Minister Peter Dutton in April when he said the Australian government should prioritise processing the immigration of white South Africans into Australia, implying they were under siege locally. Dutton has since retracted the remark. In a statement the department said Sisulu had noted the “unfortunate comments” in Trump’s tweet, on land redistribution and crime, saying it was based on "false information". “It is regrettable that the tweet is based on false information. The Minister has thus instructed the Department to meet with the US Embassy in Pretoria to seek clarification on the matter today, 23 August 2018,” the statement said. During a post cabinet briefing Minister of Communications Nomvula Mokonyane told media that national government was confident that South Africa would not fall out of favour with the global trade community over its efforts to look at the expropriation of land without compensation.